New Amsterdam Sp. z o. o. We have been preparing content for multimedia stations which supplemented the underground exhibition in the historic Guido Mine at the Coal Mining Museum in Zabrze. A new tourist route is dedicated to the cult of St. Barbara – the patron saint of miners. Over the last few years, new cultural institutions, science centres, spectacular buildings and new exhibition premises have been created. The more and more popular concept of the narrative museum has allowed for the creation of institutions devoted to specific topics, ideas or events. A contemporary museum is not necessarily a place associated with traditionally understood collections. New technologies have become an integral part of museums and changed their character. And as far as new ways of presenting content are concerned, we know almost everything about them! What distinguishes narrative museums is their strong appeal to emotions and sensual experience. By using spatial and artistic design and proper lighting we create experiences consistent with the idea which the exhibition is to convey. We are engaged in the selection and delivery of multimedia equipment, lighting and sound systems. We develop multimedia applications and interactive educational games, 2D and 3D animations, videos, multimedia projections and mapping from the very beginning to the finished product. We support the process of digitalisation by providing effective tools for creating digital representations of objects and making them available online. We help to process digitised materials into educational tools, attractive both in their form and content. Digitalisation is now one of the priorities of the global cultural policy. Conversion of tangible content into digital media not only consolidates and protects invaluable museum collections and archives but most of all it makes them available online. Digital cultural resources should be available not only to the inner circle of specialists but to the widest possible audience. To do so, the tools used to share digital heritage must be attractive and accessible for all, and the use of digitised resources should be intuitive and enjoyable. Digitalisation also means sharing collections in a way which will engage and encourage visitors to use virtual resources. We comprehensively support the process of digitisation – from the stage of processing the analogue content into the digital form, to retouching materials, and finally to sharing and promoting them online. We create virtual catalogues of museum collections, libraries and archives, and provide responsive websites and dedicated content management systems (CMS) and software. Digitalisation is not only creating digital representations of material objects but also documenting intangible cultural heritage, for example, recording testimonies of witnesses to important events. It also consists of digital retouching of archival audiovisual materials. Thanks to our documentary films, visitors to the Emigration Museum in Gdynia can listen to almost 200 poignant stories of people who for various reasons had to leave the country and those who visit Cricoteka in Kraków can watch almost 400 minutes of retouched and edited video materials. A good idea and well-prepared substantive concept for an exhibition is only half the battle. In order for a visit to the museum to be memorable, it is necessary to engage the visitor. We help to achieve this goal by using the latest interactive technologies. We select optimal solutions on an individual basis. We develop multimedia presentations and dedicated applications for all types of multimedia devices: smartphones, tablets, multimedia tables, infokiosks and touch screens. We create scenarios of interactive educational games that bring life to the museum space. Content always determines the form and dynamics of the presentation. The choice of solutions, however, is flexible and tailored to clients needs. We help to choose the solutions best suited to the concept of a given exhibition. And the market offers many such solutions, e.g. Augmented Reality (AR) and Virtual Reality (VR), 3D mapping, 360° multimedia projections or motion sensing technologies (Kinect). We also provide virtual tours and 360° panoramic views. Our company specialises in creating dedicated multimedia applications for museum exhibitions. We also offer solutions that can be successfully used in commercial ventures. New Amsterdam has been active on the market since 2009. Our company develops and implements narrative concepts for exhibitions. 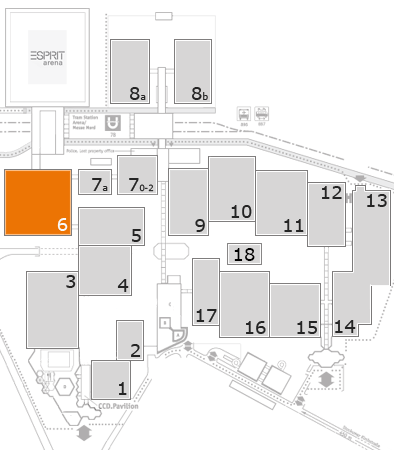 We also create scenarios and plan visitor routes for expositions. Our job is to take care of design, equipment and AV installations implemented in our projects. We understand that a well-prepared exhibition is not a matter of shocking visitors with the possibilities offered by modern technologies. Technology is only a tool, which helps us evoke emotions and emphasise the message. That is how we perceive storytelling. We create experiences for museums, science centres, brands and corporations. Our work can be seen at, among others, the Rynek Underground in Kraków, Discovery Center of the Centennial Hall in Wrocław, Innovation Centre Mill of Knowledge in Toruń, Polish Aviation Museum in Kraków, Emigration Museum in Gdynia, or HYDROPOLIS in Wrocław.